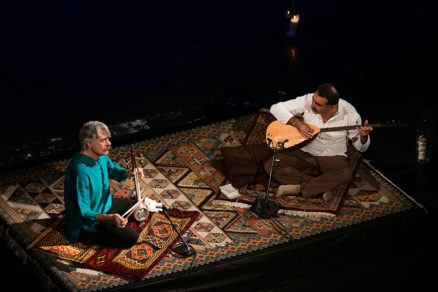 Kayhan Kalhor is a legendary musician in the classical Persian tradition, with devoted fans that span the globe. For this special evening Kalhor brings his long-time collaborator Turkish baglama (lute) player Erdal Erzincan to perform stunning Persian and Turkish improvisations. Performing music based on ancient traditions, their music is thoroughly modern and seeks to bring the listener into its trance-like realm by interweaving ecstatic rhythms with sensual melodic phrases. The result is a set of instrumental compositions that flow into each other like one continuous work, with gently drifting passages in which the two instruments echo and improvise on different phrases.